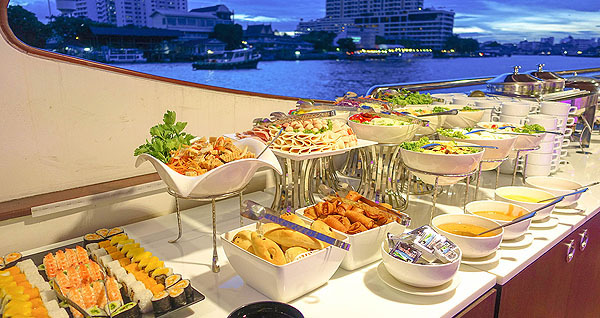 An Unforgettable Dining Experience along the River of Kings : We proud to present a special programmed to get you along the Chao Phraya River aboard a luxurious cruiser fully equipped with all facilities. 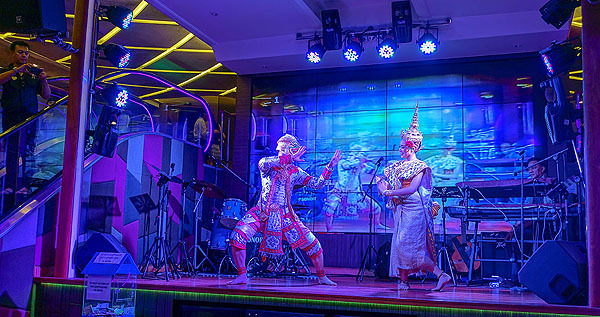 A selection of international and Thai delicacies is served, while you enjoy delightful moments with euphonious music performance conducted to spice up your cruise with us. This will be a night you will never forget. 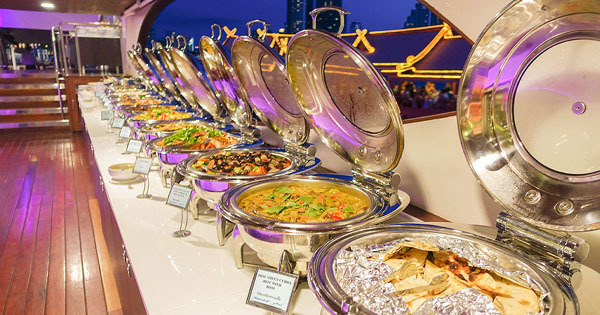 Dinner Cruise by Grand Pearl ; Treat yourself to a memorable night out aboard one of Bangkok”s most luxurious boat restaurant. 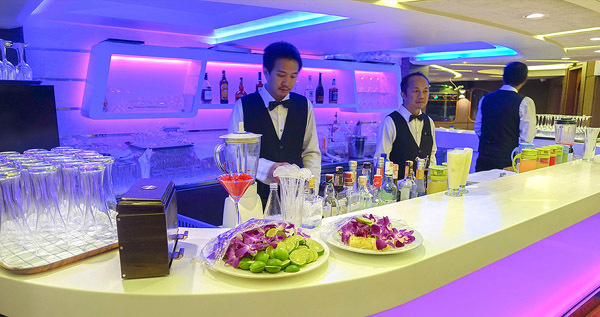 Relax in modern comfort and experience the warmth of Thai hospitality. 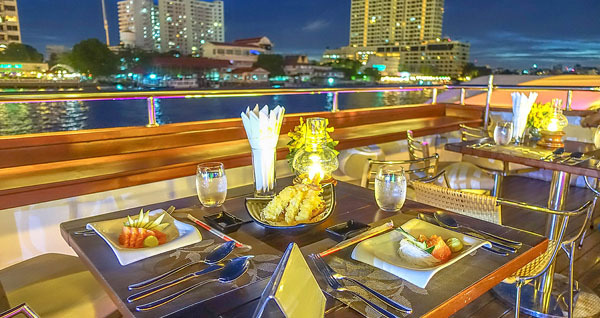 Dine on a variety of authentic candle light Thai food. 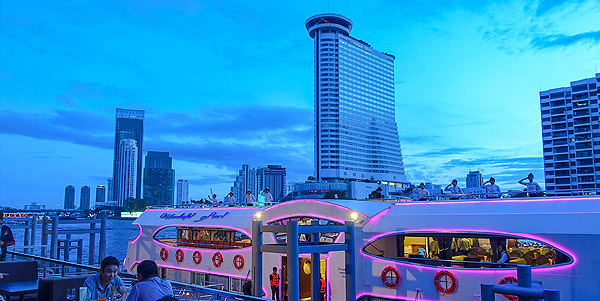 Cruising along the Chao Phraya River you can enjoy the scenic sunset and the riverlife by night, a truly exotic experience. 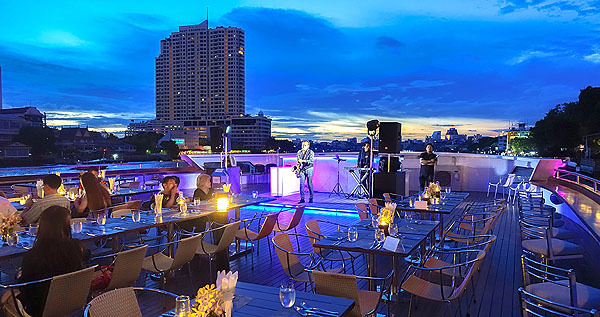 Departure from River City Pier While you enjoy your drinks, take in the beautiful night-lit scenery on both side of the Chao Phraya River. 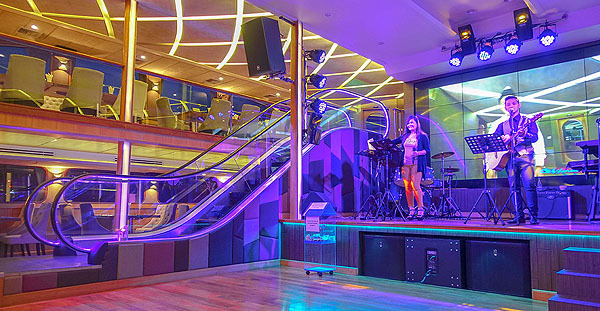 Our captain will pilot the boat up- river. 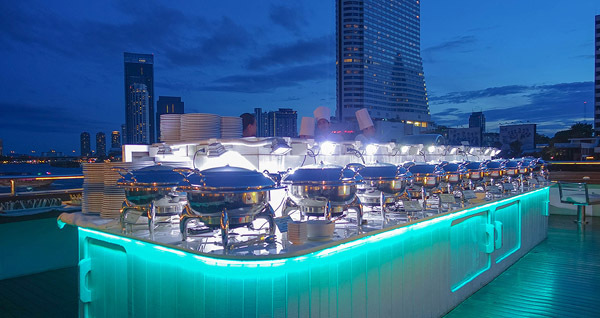 We will ensure the opportunity for you to take snapshot of the two most magnificent night views of Bangkok: Wat Arun – The Temple of Dawn – and the Grand Palace with Wat Pra Kaew – The Temple of the Emerald Buddha. 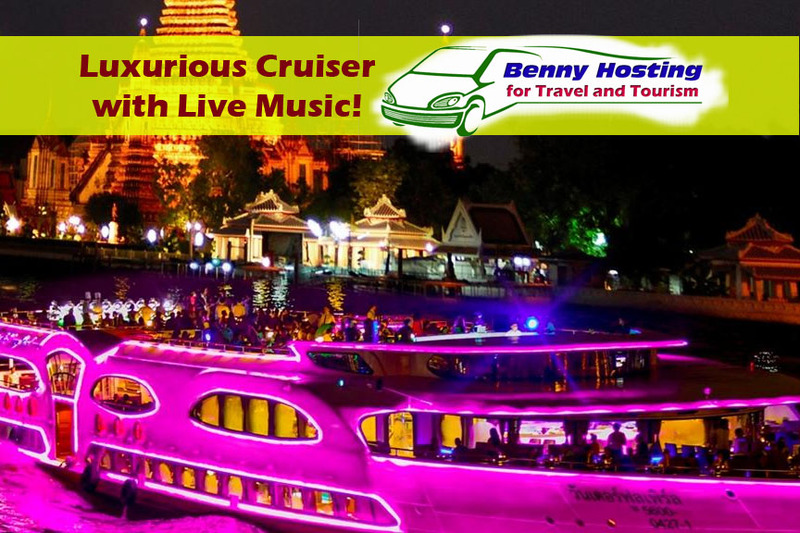 After the picture op we will return to The River City Shopping Complex, enjoying the beautiful decorations and awesome sight of colored light on the river side. 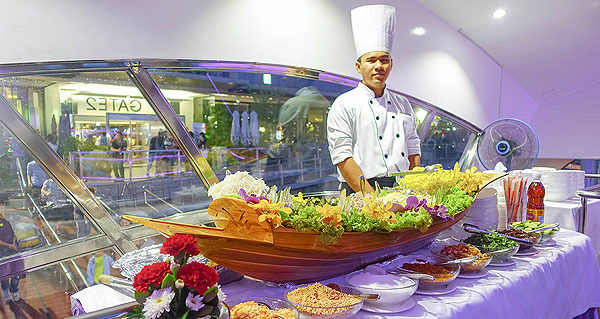 Dinner is served under moonlight, with “Live Music” in a serenade atmosphere and a Thai Classical Dance Show. 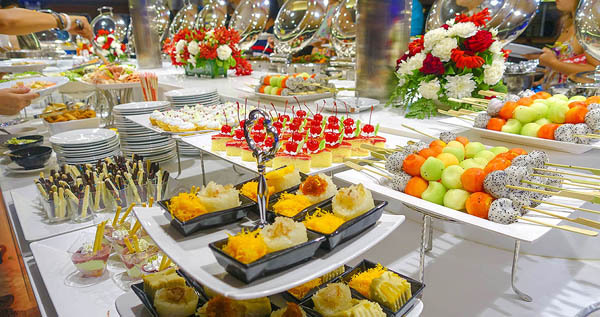 You will delight in the Thai and International cuisine offerings in a sumptuous buffet with a Sushi corner prepared with high skill and renowned car to sooth your pallet and enhance your experience with us. 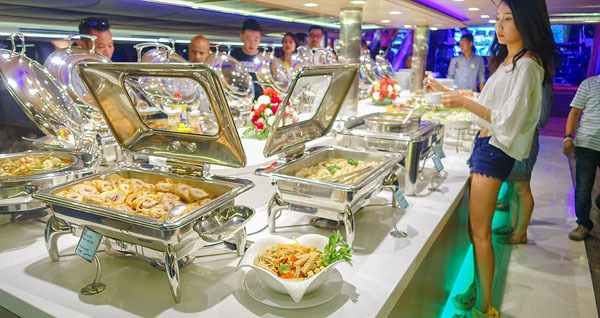 For children 4-10 years old we charge 70% of the price that calculate from a total number of adult pax.